Within two years, South Africa could have a further 1,2GW of renewable energy entering the grid. The bidders have been selected and the companies are waiting for financial sign-off so they can start building. But policy uncertainty and a new focus on nuclear energy are responsible for a nearly 18-month delay in the government giving them the go-ahead, industry insiders say. In the wake of the 2009 energy crisis, the energy department set out an ambitious renewable energy programme: independent power producers (IPPs) would build the capacity to produce 3,7GW of electricity. This was split into three bidding opportunities, or windows, with companies bidding for a certain allocation in each. The first two were hailed as great successes and, for the past three years, South Africa has been listed as one of the top five destinations for investment in renewable energy. Wind energy is already producing 660MW. Updated plans envision 9,8GW of solar, 3,3GW of concentrated solar and 4,4GW of wind energy by 2030. But the third window has been delayed repeatedly. Several concerned individuals, working for renewable companies and unwilling to disclose their names for fear of jeopardising their relationship with the government, said political considerations were to blame. “We have been told that the new minister’s [Tina Joemat-Pettersson] mandate is strongly towards nuclear energy,” said one. Each bid for the 1,2GW allocation has stipulated a price, which the bidder must guarantee will remain the same for a year. A list of preferred bidders was signed off in October 2013. But one individual said the extremely competitive nature of the bidding meant there was “very little headroom” for cost overruns. In the first window, companies put in bids to provide energy at R1,10/kWh. In window three, because of more competition, this went down to 89c/kWh. To achieve this, the source said the negotiations between suppliers and financiers had been “incredibly difficult”. The renewable energy companies, the majority of which provide wind and photovoltaic power, are incurring costs all the time. These include leasing the land on which the power stations will be built, which is spread out across the Eastern, Western and Northern Cape. If the delays continued, the sources said, there would be a point beyond which companies would be unable to recoup their costs, even if they started producing power soon. “We are not far from that point,” warned one renewable company employee. Wolsey Barnard, the acting director-general of the energy department, said earlier this month that there was only a “slim chance” of the department meeting the 24 November deadline, which was largely because of the cost of linking the bidders’ sites and the Eskom grid. The utility was going through a “difficult financial stage”, he said. But three people questioned this claim, and said the connection costs of many of the projects were carried largely by the bidders. One, planning a more than R1bn plant, said Eskom needed to spend only R3m to connect them. “The connection issue has been resolved. Eskom has the funds for these connections, so we should be going ahead. It really isn’t a valid excuse for the whole window,” an engineer said. But they were concerned that, because the funds are not ringfenced, Eskom might use them for other projects. Groups such as Cosatu have hailed renewable energy as a chance to “reindustrialise” the country and companies are required to spend up to 70% of their budgets locally. Hundreds of millions of rands have been spent building factories to produce parts locally, such as the R300m wind tower factory in Atlantis outside Cape Town. Solar panel factories alone have created 500 jobs. Last week, the South Africa Renewable Energy Council said delaying the third window would have “extremely adverse consequences” for the industry and could also jeopardise the planned fourth renewable window. Unlike South Africa’s centralised and state-owned power plants, renewables are financed by the private sector. The government, through Eskom, signs an agreement to buy their electricity at the rate presented in their bid. But they carry the risk. If the third window was delayed, and there was another window to come, companies would hesitate to gamble with their money, they said. Twenty-six renewable energy projects have already been connected to the grid. The more than 60 projects have brought in R120bn in foreign direct investment. 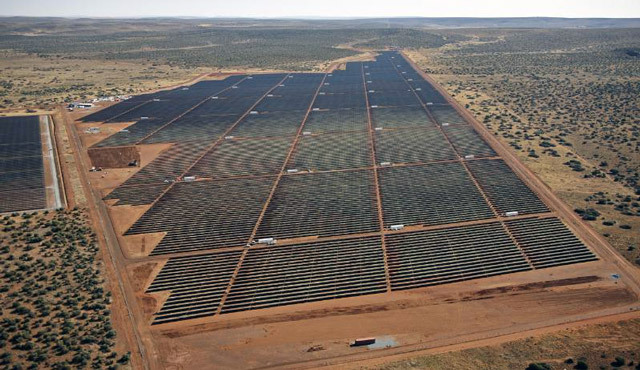 Many of these are ahead of schedule, such as the 96MW Jasper solar plant near Upington in the Northern Cape. 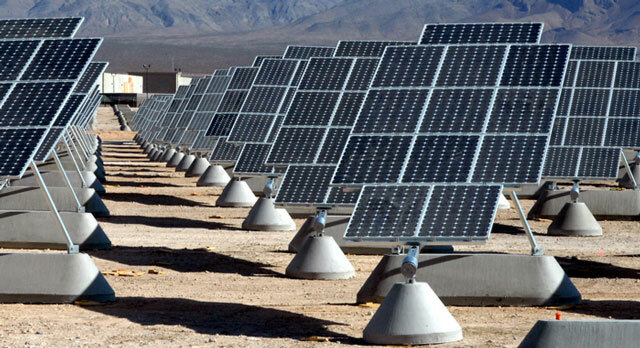 It is the continent’s largest solar photovoltaic power plant. It has been built in the time that costs of the coal-fired Medupi and Kusile power stations, which are currently five years behind schedule, have nearly tripled. But industry insiders are adamant that, if the policy uncertainty is not cleared up, the initial promise shown by the renewable programme will falter. Just more bungling by the inept cANCer. Plus it’s well known that they (and Eskom) don’t favour competition. CO2 is an emergency. Both nuclear and renewables need to go up.